"As a result, more than 160,000 Health4 patients are benefitting from a patient-centric, accountable approach to health care delivery. 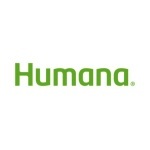 This partnership with Humana ensures that their population of patients will also benefit from this approach and will continue to receive excellent care." COLUMBUS, Ohio--(BUSINESS WIRE)--Health4, a clinically integrated health care delivery model co-owned by OhioHealth and The Medical Group of Ohio (MGO), and Humana Inc. (NYSE: HUM) have announced a new Accountable Care agreement that will serve Humana’s 41,000 Medicare Advantage members in Columbus and Central Ohio. 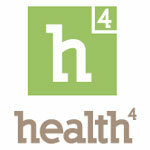 Health4 was created in 2010 by The Medical Group of Ohio, an independent physician association, and OhioHealth, a family of not-for-profit hospitals and health care providers, to bring all health care parties together – patients, employers, insurers and health care providers – in a clinically integrated effort. The new Health4-Humana agreement includes value-based incentives tied to performance and will bring better patient care coordination, more cost effective care, improved outcomes, and a world-class patient experience to Humana members in Central Ohio. The arrangement will offer more personalized care and a broad range of population management tools, like predictive analytics and chronic care, disease management and wellness programs. The value-based arrangement emphasizes improved health outcomes with a focus on care coordination and leverages measures as defined by the National Committee for Quality Assurance (NCQA) Healthcare Effectiveness Data and Information Set (HEDIS) like diabetes care and treatment, breast cancer screenings, colorectal cancer screenings and high-risk medication. Under the terms of the agreement, Humana will offer plan designs built around the new accountable care agreement and feature Health4’s 34-county network stretching across central Ohio. The network is comprised of more than 2,300 MGO physicians who are committed to delivering the highest quality and value, and OhioHealth’s hospitals and health care organizations. “With sophisticated integration among its broad geographic array of hospitals, physician offices and ancillary care delivery settings, Health4 is the ideal partner in central Ohio as we reshape the health care system to deliver a more patient-centered experience,” said Larry Costello, Humana’s President for Senior Markets in Ohio. The Medical Group of Ohio is an independent, physician-owned and operated company comprised of approximately 2,300 physicians practicing in 36 counties across Ohio. MGO works together, as a business, to improve the process of delivering health care and to enhance the professional satisfaction of its members. Please visit MGO’s web site at www.theMGO.com. OhioHealth is a nationally recognized, not-for-profit, charitable, healthcare organization with Methodist roots. Based in Columbus, Ohio, OhioHealth is currently recognized as one of the top five large health systems in America by Truven Health Analytics. It is also recognized by FORTUNE Magazine as one of the “100 Best Companies to Work For” and has been for eight years in a row, 2007-2014. OhioHealth member hospitals include OhioHealth Riverside Methodist Hospital, OhioHealth Grant Medical Center, OhioHealth Doctors Hospital-Columbus, OhioHealth Grady Memorial Hospital, OhioHealth Dublin Methodist Hospital, OhioHealth Doctors Hospital-Nelsonville, OhioHealth Hardin Memorial Hospital, OhioHealth Marion General Hospital, OhioHealth O’Bleness Hospital, OhioHealth MedCentral Mansfield, OhioHealth MedCentral Shelby and OhioHealth Rehabilitation Hospital. For more information, please visit our website at www.ohiohealth.com.